Inbound marketing agency Adhere Creative announces the launching of a new website for biomedical research company Ansh Labs. We wanted something a little different from the usual scientific research product catalog site. Ansh Labs, headquartered in Webster, Texas, is a leading provider of immunoassay reagent test kits for the research, diagnosis, treatment and management of diseases. They serve physicians, researchers, hospitals and clinics worldwide. Their labs help to develop products that assist in conducting research into cancer, fertility dysfunction, cardiovascular disease and complications of pregnancy. Ansh Labs is dedicated to developing immunodiagnostics for the discovery of research markers and diagnostic assays that lead to the development of proteins and antibodies for use as research tools. Their immunoassay reagent test kits are utilized for pre-clinical biomedical research in the fields of reproductive endocrinology, pregnancy complications, cardiovascular disease and neurodegenerative diseases. In order to better reach their target market, update their online presence to reflect their full product offering, and to better serve the doctors, researchers, hospitals and clinics that rely on their expertise, Ansh Labs recently contracted with Houston-based inbound marketing agency Adhere Creative to redesign their entire website. The new site design now showcases all products and services, and offers the company the option to expand as they grow. The look and functionality of the existing site have been updated. New or improved features include a company blog, events postings and a page dedicated to the latest industry news. Customers can contact experts through the site and try products through an online form. 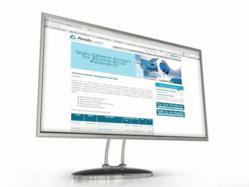 Anthony Morris, Director of Sales and Marketing at Ansh Labs, states, “We wanted something a little different from the usual scientific research product catalog site. Adhere Creative was local and the work they were doing appeared unique. [Our new website] demonstrated the clean design and simplicity that we were seeking for our brand. He goes on to say, “Adhere Creative's designers and developers helped us to update our brochure site to accommodate product pages with the ability to expand with our growing product lines and improve the communication of relevant biomedical research news and events that our visitors wanted." Ansh Labs is a leading developer and manufacturer of immunoassay reagent test kits used to advance target discovery, therapeutic development, biomedical research, and clinical diagnostics. The company serves life science researchers, physician researchers, hospitals, commercial laboratories, and public health agencies to assist with the research, diagnosis, treatment, and management of diseases. More information about Ansh Lab's products and services can be found at http://www.anshlabs.com. Adhere Creative is an inbound marketing agency that offers web design, search engine marketing, content marketing, lead generation and other inbound marketing services. More information about Adhere Creative's services can be found at http://www.adherecreative.com.